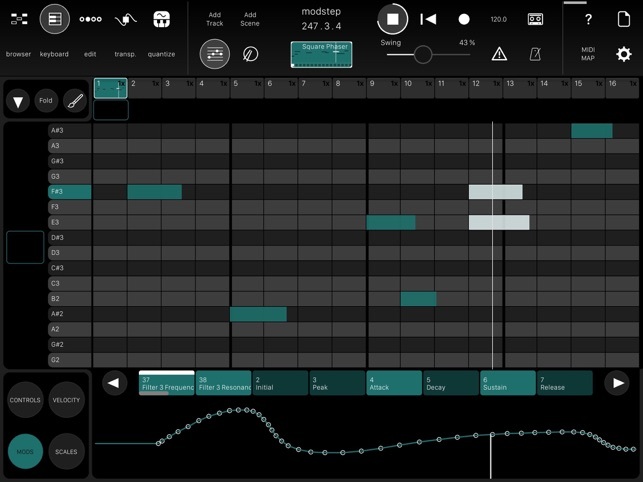 Introducing Modstep, Modulation Monster and the first full-blown MIDI sequencer for the iPad. 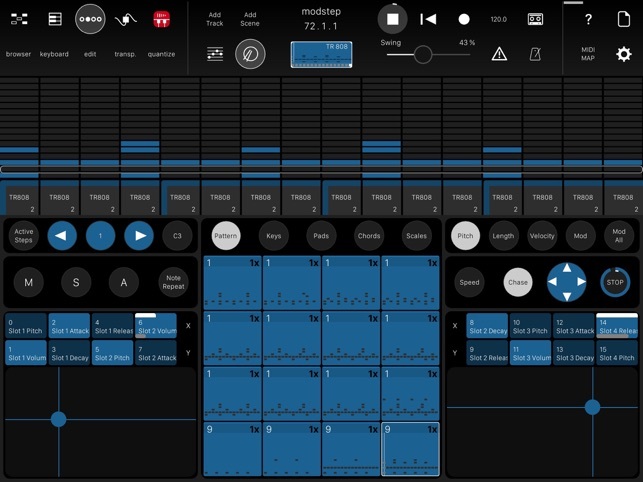 Modstep allows you to create music and jam with your iPad and your favorite IAA Apps, Audio Units, Mac and PC software and MIDI hardware as well as the internal drum sampler and synth. Use it as the centerpiece of your setup to create and perform music on the go, in the studio and on stage. 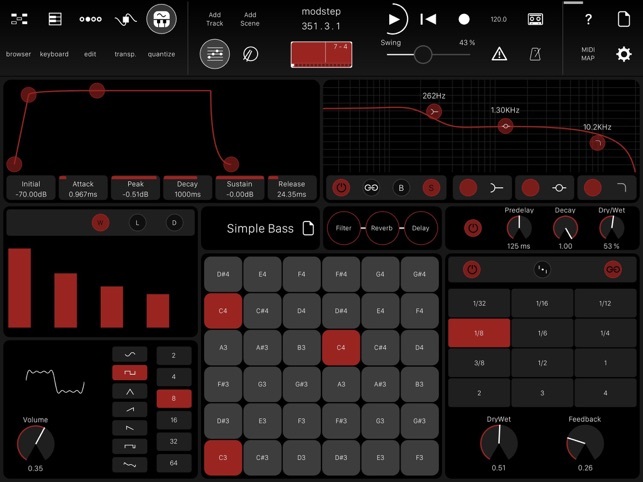 "If you´re looking for a versatile, adaptable MIDI sequencer for iOS, Modstep comes highly recommended"
-Session-style MIDI sequencer with unlimited tracks & scenes. -Play individual clips or whole scenes, or use the included arrangement features to manage more sophisticated song-structures. -Clips are pattern based which allows quick edits on the fly. Set a variable speed per pattern. -Step Sequencer with active steps and step-shifting. -Piano Roll with variable quantization including triplets, access to modulations, velocities and scales. -Everything can be edited, arranged, modulated or changed in real-time. -Note Repeat from 1-48th to 1/4th. -Unlimited MIDI & Audio tracks - only restricted by the power of your iPad. -Tempo range from 20 to 999bpm. -Stable and low-latency MIDI Clock In & Out with latency adjustment. -integrated global keyboard with scales & drum-pads allow quick recording of individual tracks with a single surface. -Use an external controller or keyboard to control, record or play any given track. -Internal additive synth with up to 64 harmonics per voice, 3-band eq, delay, reverb, lfo and detune. -Internal sampler with pitch, volume, reverse, fx per slot, 3 band-eq, delay and reverb. 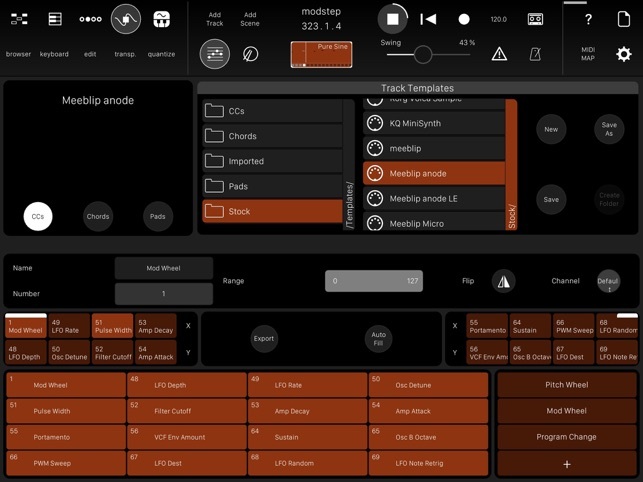 -Integrate any IAA compatible app or Audio Unit as an instrument or effect. -unlimited number of effects per track. -convenient plugin management via drag and drop. -Any loaded instrument or external MIDI hardware is completely modulatable via CCs. -Up to 128 CC modulations per track. -Export sample perfect loops of audio per track. Choose which channels to record. The internal quantization will make sure they are sample-perfect and ready for any DAW. -Import / Export of MIDI files. 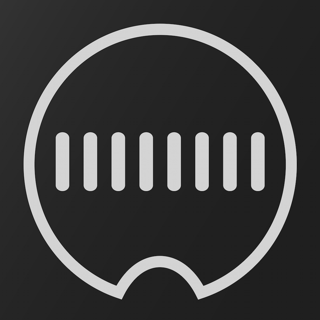 -Import / Export of Audio & MIDI files via AudioShare. -A sophisticated template system allows quick setup of tracks to control external MIDI hardware, apps or plugins. -Includes many preconfigured templates for popular external hardware. 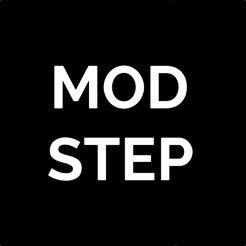 Modstep is live performance gold!!! Modstep is such a great sequencer! 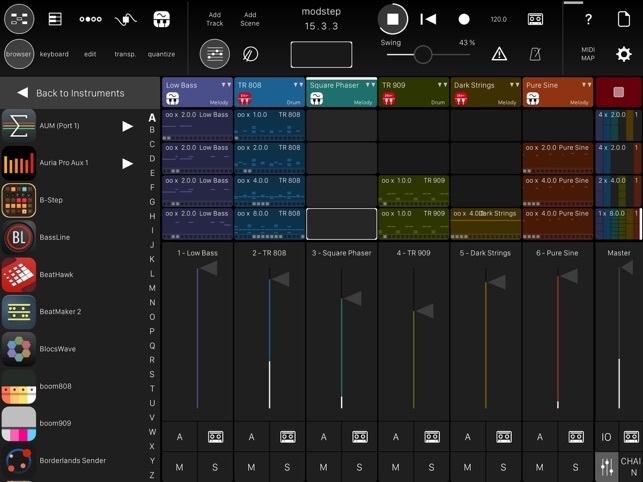 It has by far the most functionality of any music production apps for iOS, but it does have a steep learning curve and a few quirks. While it’s definitely daunting for amateurs, it has just about everything a pro could want for live production and performance including extensive MIDI control and mapping. A few minor tweaks that would make a lot of the Modstep community very happy are: 1) A MIDI CC option to launch the next/previous scene, instead of having to map each scene to a control. 2) A dedicated “undo” button since it’s very disruptive to workflow to have to load from the auto-saves. 3) Metronome volume adjustment and panning. 4) The ability to mute MIDI notes (not just channel audio) so that instrument loops can be brought in and out of the mix, in-time, and with effects (reverb tails, etc.). 5) Support for AU MIDI plug-ins... and though this is one of the most “mappable” MIDI apps out there, the ability to map even more stuff is always great. ;) Thoughts from the devs? Just another EPIC but abandoned app. by these great devs!?! I always start out loving their wonderful creations but then, like many others they seem to fade out of the workflow. It seems like the devs could care less about your music making experience, your feedback, or iOS music making in general when they just end up neglecting their users and even their own phenomenal creations.. I got this app so I could import my MIDI files into it for use with other apps. The developers are short sighted and overlooked this basic function. So then I discovered I could export MIDI from another app into it. However, when Modstep receives the MIDI clips, it changes the note data. Considering that everything I’ve bought from these developers does not work, it’s best to steer clear of them and everything they make. Not to mention, that neither Apple or the developer will refund my purchase. I lost $20 on a broken app, which looks like it will never get fixed.